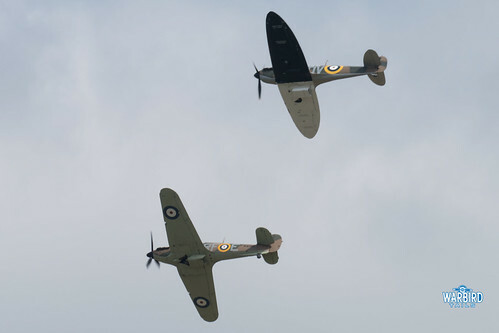 Duxford’s May airshow generally marks the first major airshow of the UK airshow season. Especially important this year given the new regulations currently imposed on the UK scene by the CAA following the tragic events at Shoreham last year. Early displays at Abingdon and Old Warden had led to a few negative comments in terms of the crowd separation distances so all eyes were on Duxford to see how things could have changed. I’ll mention the notable changes throughout this review but the overall feeling, certainly from the tank bank end of the airfield, was that while there was change it was not too detrimental to the enjoyment of the show. Another aspect which cannot go unnoticed was how quiet Duxford was across the weekend. Sunday’s show was slightly busier, thanks to the inclusion of the Red Arrows. The overall feeling inside the venue on both days was incredibly quiet. This was surely due to the Imperial War Museum’s decision to make this show advanced ticket only. 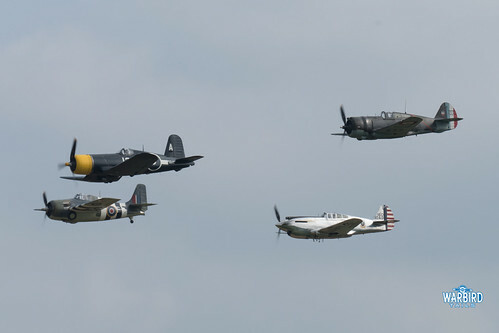 It was certainly a shame to see such a low turnout as in many ways this show was one of the most unusual line-ups Duxford had put together for a few years. One advantage of this apparent low crowd numbers was that there was a very relaxed atmosphere across both days making for a very enjoyable days flying. 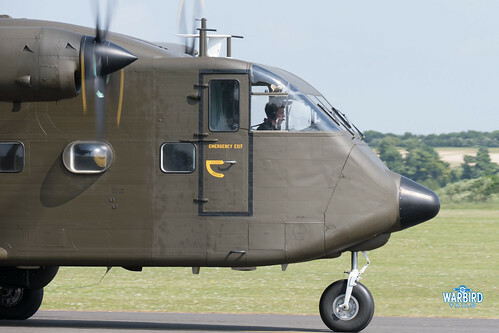 A highlight of the flightline walk was the inclusion of the Mildenhall based CV22 Osprey, which was manned by the crew, who were offering a walk-through experience of the aircraft. It was a great opportunity to get an up close look at this eccentric design. 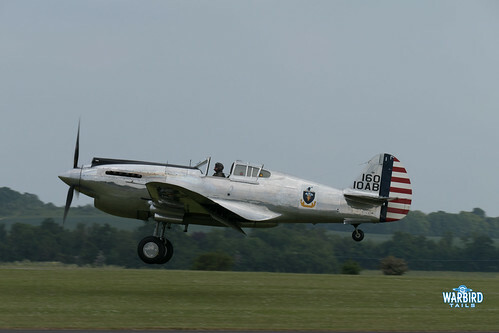 The central theme of the show was the American air force, following the re-opening of the American Air Museum as part of the collection. While the running order of both days changed I’m going to run through the flying on offer in chronological order as great care had been taken to construct historical pieces throughout the display. 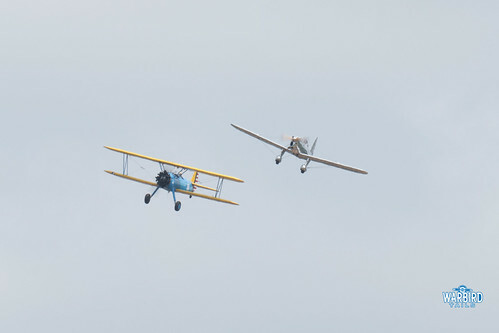 A trio of aircraft from the Great War Display Team performed their tribute to the early American fighter pilots. 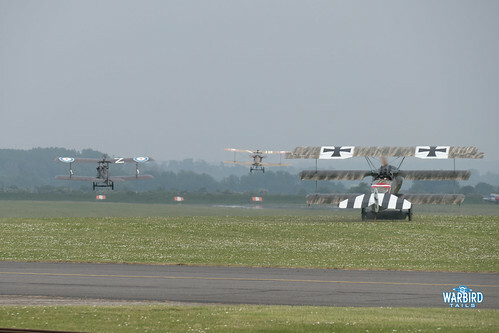 Two SE5a replicas flew in a mock dogfight with a Fokker DR1 Triplane. The team put on their usual display of up close combat given a great impression of those early days of air combat. The team was a pleasant surprise as they seemed considerably closer than most acts had been so far this year. This was confirmed by a post by the team confirming they had been granted permission to fly closer than the new CAA minimums. This was a very welcome piece of news as the team really would have lost some of their impact had they been forced back to the 150m line. The inter-war years were represented by a quartet of types. 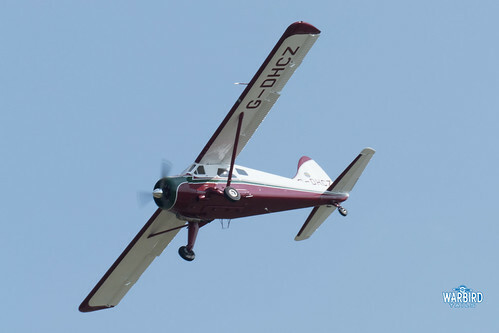 Peter Holloway’s Ryan STA made its first appearance away from Old Warden in the hands of Jean Munn, while Golden Apple’s PT17 Stearman performed aerobatics overhead. A later pairing came with Air Leasing’s Piper Cub and Mark Miller’s Dragon Rapide. 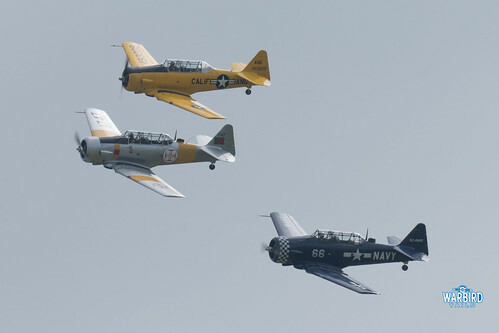 An unexpected highlight was some fantastic formation flying form a trio of T6 Texan/Harvards. The three aircraft were seemingly glued together as they swept low across the airfield performing formation wingovers and tail chases before breaking to land. 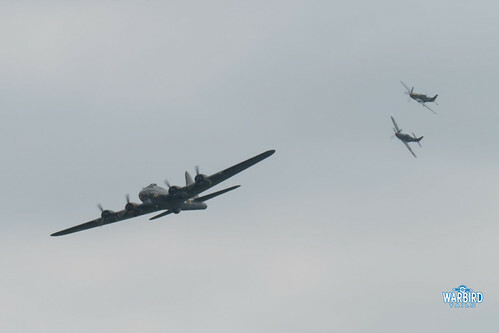 The Eighth Air Force was remembered by B-17G Sally B accompanied by P-51 “The Shark” and TF-51 “Miss Velma”. It was great to see the iconic bomber accompanied by a Mustang on each wing again. For many years this was an airshow staple but has been notably absent for a few seasons now. The Mustangs then peeled off into a lengthly tailchase with a pair of Buchons. 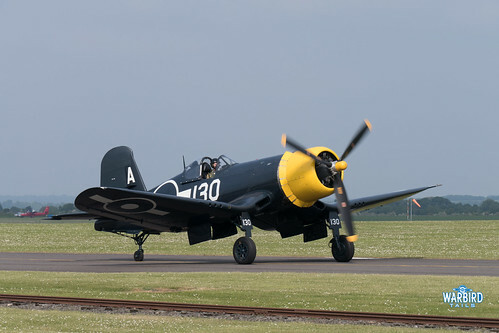 The Aircraft Restoration Company’s example, Yellow 10 had been repainted into the striking colours of Black 2 for some film work ahead of the show and certainly looked incredible. In the absence of any Korean/Cold War military types (a real shame that no classic jets could have been brought in for the occasion such as the Norwegian Mig15) this story was told by the Cosmic Wind and DHC Beaver. Both types put in impressive routines with notable mention for John Romain’s Beaver display, a great demonstration of the types capabilities. The highlight of the weekend, certainly in terms of sticking to a theme, was the Vietnam segment. 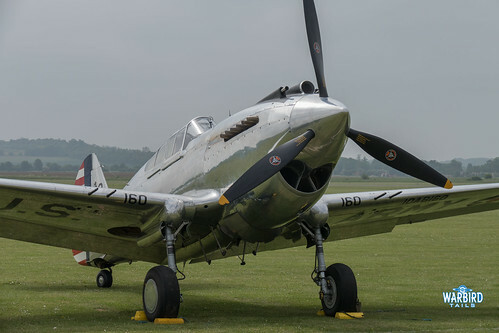 This saw 4 aircraft making their Duxford debuts. Kicking off the sequence was a rare appearance from the Duxford based T28 Trojan, performing low level figures of eight as Jimi Hendrix blasted out of the speaker system. 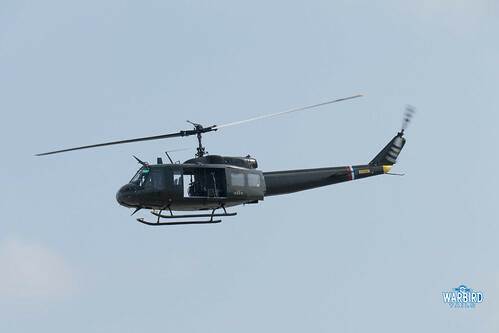 Then came a fitting appearance from a Huey and Hughes OH6, both of these helicopters are veterans of the Vietnam conflict and were making very rare display outings. Hearing that familiar blade slap of the Huey certainly set the tone. 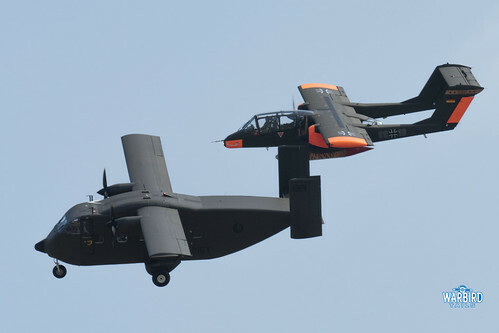 A highlight for many came in the unusual pairing of the OV10 Bronco and Shorts Skyvan. 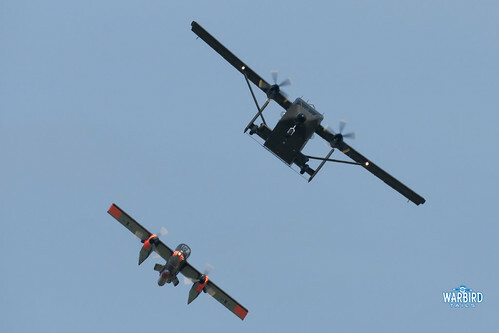 While the Skyvan was not involved in the conflict itself it played the important part of the cargo aircraft used during the war. 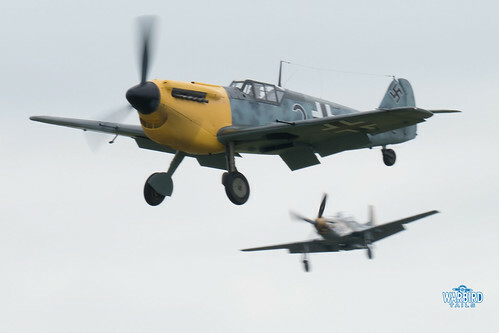 The pair performed a series of formation passes before an on crowd break. While the Bronco was thrown around the sky in great style the Skyvan positioned for an impressive Kge Sanh approach onto the grass runway, easily one of the most impressive sights of the show. 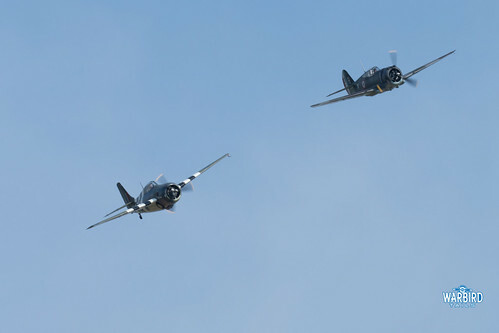 Following the Broncos solo routine the pair repositioned for a formation steep approach, touching down in perfect unison. A truly impressive and refreshing routine that I hope can be replicated at many displays in the future. 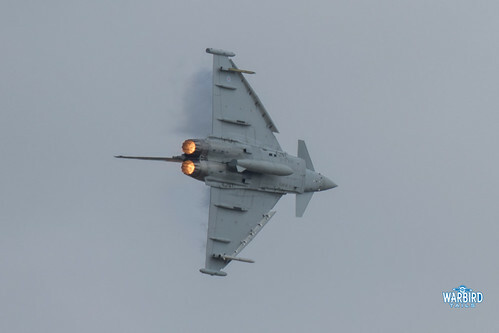 Alongside these more scripted parts of the story the show also saw an impressive appearance from the 2016 RAF Typhoon Display team, with plenty of vapour on show across both days. The Army Air Corps Apache put on a role demo and the Matadors gave their usual masterclass in close formation aerobatics. The weekend came to a close with an appearance from the Red Arrows. I’ve left the Pacific WW2 display until last as it really was the finale of the show to my eyes. A fantastic mix of The Fighter Collection’s rarest warbirds, namely the Corsair, Wildcat, Hawk 75 (representing a P-36) and the first Non-Legends appearance for the stunningly shiny P-40C. 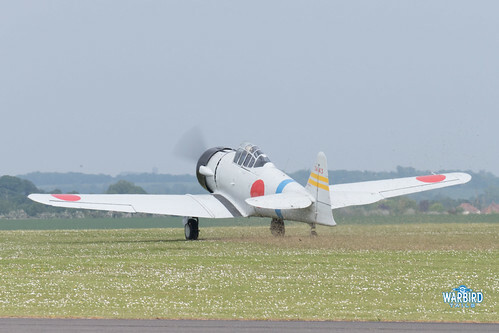 The routine was embellished by another inspired booking, a replica T6 based Mitsubishi Zero, brought over from France. On paper this should have been a Duxford classic routine with imposing aerobatics and tailchasing. In practice it was a very different, though equally enjoyable performance. 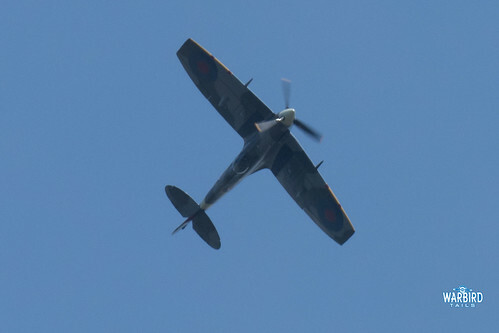 The “Zero” got airborne and flew lazy figures of 8 on the far side of the airfield as the fighters were scrambled below. It would have been a nice touch to at least have the Zero perform a few passes closer in to the crowd. 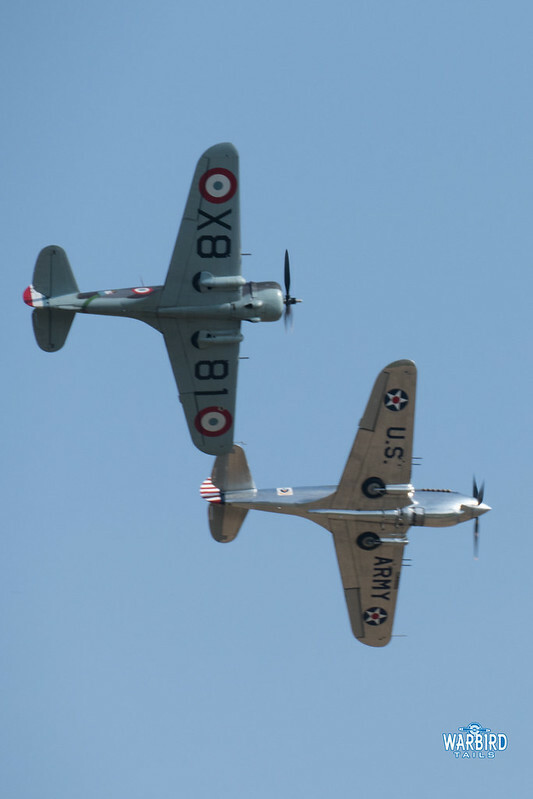 The Corsair and P-40 followed each other through in a gentle tailchase in front of the Zero before clearing the air for the Wildcat and Hawk to fly a couple of formation patrol runs over the airfield. On the Saturday there was no interaction between the American fighters and the Zero, however the Sunday display did include a brief series of opposition passes from Brain Smith in the Hawk 75, giving the impression of trying to get on the Zeros tail, which was a nice touch. Where this display did capture that classic Duxford magic was in its conclusion. 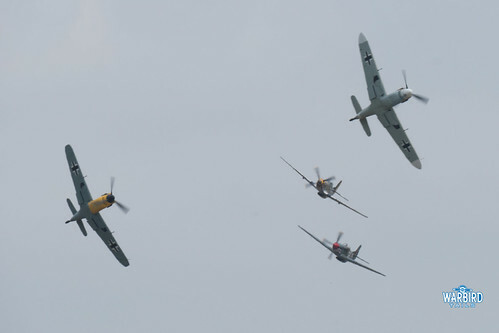 The four fighters rejoined into a tight box four, evoking memories of the classic Breitling Fighter displays of the 90s and performed a series of formation passes and wingovers. It is easy to become complacent about the huge array of aircraft we have in this country thanks to people like Stephen Grey. Each of these machines is unique in European skies and many would travel some distance just to see them. As the formation peeled off for a loose run and break low down the runway you couldn’t help but smile. So, a different feel to Duxford, thanks in part to the remarkably small crowd but also some notable changes to the display style. This was made even more apparent when the Fighter Collection performed solo at Old Warden the following week, where it was very much business as usual. For now Duxford certainly seems to be handling the new era well, perhaps Flying Legends will be the true test for this iconic venue.